This one day course is designed to help both you and your horse with confidence on the ground, which in turn, will help with your riding. You will learn the importance of body language and how to control your breathing, helping both you and the horse to ‭relax‬. We will also look at how to be a strong leader, that your horse wants to follow. You will take part in certain activities, teaching your horse de-sensitisation to various stimuli and learn the importance of timing and consistency. Here, you will be taught how to effectively use the Dually halter, a training head collar invented by Monty Roberts, that works on the basis of pressure and release, making it easy for your horse to do the right thing and harder to do the wrong thing, teaching them intrinsically. This course is ideal for anyone with a spooky horse or youngster, or those wanting to help boost their or their horses' confidence. Anna can provide suitable, safe horses, if needed, so you don't need to own a horse to help build your confidence! 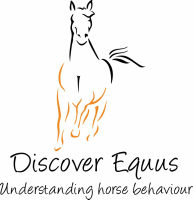 The course will mostly be practical, however some theory will be taught, informing you on horse psychology and the physiology of the horse, allowing you to understand why the horse reacts to certain 'scary' situations. This one day course can be done in conjunction with 'Confidence Booster On The Ground' or instead of, and is designed to improve both you and your horses' confidence. You will learn how to control your breathing better, helping you to remain calm, thus keeping your horse calm. You will participate in various activities, teaching you how to respond effectively to overcome scary situations, learning how to be the leader for your horse, from the saddle. The is a practical-based course, where theory will be discussed as we work through each activity, allowing you as much time in the saddle as possible whilst gaining a better understanding. Anna is unable to supply horses for this ridden course. If you would be interested in doing either or both of these courses, please contact Anna at discoverequus@gmail.com to discuss dates.